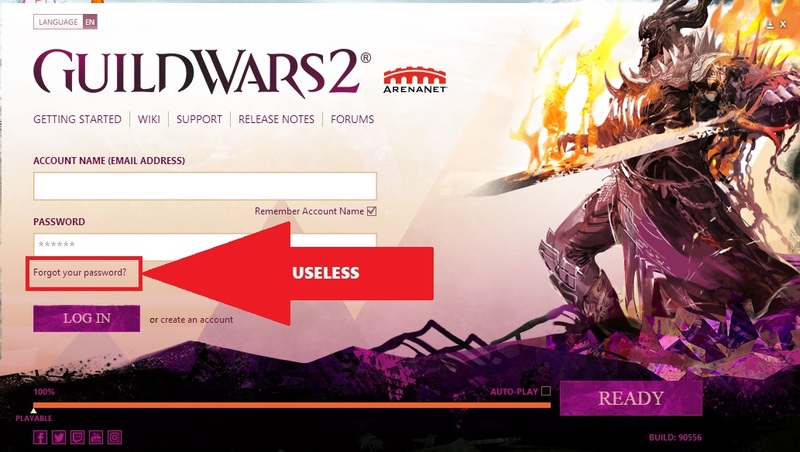 Geekectual: Will I Ever Be Able To Play Guild Wars 2? Will I Ever Be Able To Play Guild Wars 2? Back in 2007, I had purchased the original Guild Wars and played it for roughly a month before I moved on to something else. Recently, I came across a Guild Wars 2 ads and decided to get the dust out of my old account and start playing the free version of Guild Wars 2. I haven't touched this account since 2007 and, obviously, I forgot the password. No problem, I thought, I'll just have it reset. For some reason, the only way to reset the password was for me to get the serial number of my original game or contact customer support directly. After a few email exchange with CS, I got that figured out (but like why is this required?). This process roughly took 2 weeks. "GUILD WARS 2 HAS ENCOUNTERED AN ERROR You are attempting to log in with an account that does not have a valid serial code applied to it. If you have a valid serial code, please visit https://account.arena.net/register to apply your serial code to this account. For additional information, please visit http://support.guildwars2.com"
Can someone explain to me why a user would need a serial code to play a free game? But hey! Who cares about user experience? It's not like the gaming industry is a highly competitive market right? As of July 20, 2018 - I still have not been able to play the game. I'll keep you guys posted of progress. I'm leaning towards either creating a new email/arenanet account or just moving on to something else at this point. I've been able to play but not using the account I had created for the original guild wars. I had to create a new account, register to guild wars, then link it with my old one... This is weird to me but it is what it is. The detailed steps can be found here. Oh and the game is a blast to play as I mentioned here.